Moving Interstate is now much easier! This checklist will help to inform or remind you of 10 of the most important things to consider when moving house. 1) Choosing the right estate agent. Do not automatically choose the estate who offers to put your house on the market for the highest price. It is wise to invite 3 or 4 agents to your house at different times to provide a valuation. You can then get a feel for the agency and decide who you trust the most to deal with the sale of your house. It is also a good idea to do your research and find out which estate agent has sold lots of properties in your area recently. 2) Research the area you are moving to. Make sure you visit the area you wish to move to before you put an offer on a property. You should make a list of your requirements, in order of priority, – such as schools, commuting distance etc – and make sure the area in which you are looking to buy ticks the right boxes. Most people know what level of offer they would be in a position to put forward once the right property has been found but make sure you also budget for all the ‘not so obvious’ costs of moving, such as estate agents fees, solicitors fees, Stamp Duty, removal costs, land registry fees and searches. Again, do your research and make sure you choose a solicitor you feel comfortable with. You are free to choose any solicitor you wish to assist with your move and are not obliged, for example, to instruct the solicitor recommended by your estate agent. Your solicitor should be a specialist conveyancing practitioner, upfront about fees and willing to take you step by step through the conveyancing process. 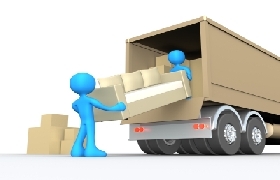 You will need to decide, in advance of your move, whether you are going to carry out the move yourself or move with an Interstate Removal firm to do it for you. In the case of the former, make sure you have plenty of friends on board to help you and have an adequately sized van to transport larger items of furniture. In the latter case, obtain quotes from Backloading Removal companies and make you sure book them as soon as you know your moving date. Listen to the advice of your solicitor when pitching an offer for the house you wish to buy. An offer that is too low may see you lose out to a higher bidder whilst offering the asking price at the outset may mean you spend more than you really need to. Discuss the matter with your solicitor and put in the right offer. If you are currently living in a rented property ensure that you give your landlord the correct amount of notice of your intention to leave, otherwise you may be faced with additional rental fees that you were not expecting. It is important that you make sure you have a household insurance policy in place from the day you move in. Shop around to obtain the most competitive quote. As well as letting friends and family know your new address do not forget to inform utility companies, the council, the DVLA etc. You should contact the Royal Mail to have your post redirected. This can be done for a small fee and will help to ensure that you do not miss any important communications.